In addition to helping him, this whole experiment has opened my eyes a lot and helped me as well. I've wrangled a lot of my device time and social media time and have developed an aversion to things that are stealing my focus. Part of that is because I'm the type of person who wants to know ALL the things about a topic when I'm interested in it, so I have read A LOT of books about smartphones, social media, internet addiction, the changes technology has caused in how we interact, how our brains function, and how we live our lives. I'm not sure I'm capable of summarizing the wealth of information I've read this summer, but I thought, for those interested, I could post the books I've read and share some of the quotes I highlighted while reading. So, that's what I plan to do this week. Each day, I'll post one of the books I read and the quotes I found most interesting or helpful. Now, a disclaimer, I'm posting all of this without judgment. If you're into your devices and social media and don't feel the need to disconnect sometimes or back off of it, that's totally cool. I'm sharing this because I didn't like how things were trending with my lack of focus and my free time and family time being eaten up by my phone. So if it's not interfering with you or your family, then feel free to skip these posts. But otherwise, I think there's good food for thought in these books even if you aren't looking to make changes right now. 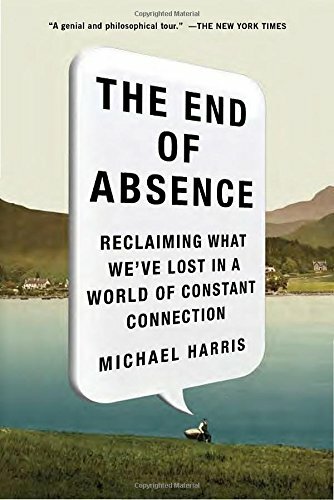 First up is The End of Absence: Reclaiming What We've Lost in a World of Constant Connection by Michael Harris. This one mainly focused on our ability to be in the quiet, to be bored, to be alone. I thought he had a lot of interesting and thoughtful things to say about how the internet, smartphones, and social media have changed us. "Evolution (nature) endowed us with minds capable of fast and furious transformation, minds able to adapt to strange new environments (nurture) within a single lifetime—even within a few weeks. Therefore, we’re always products of both inherited hardware and recently downloaded software... The flip side of all this, though, is that young brains, immersed in a dozen hours of screen time a day, may be more equipped to deal with digital reality than with the decidedly less flashy reality reality that makes up our dirty, sometimes boring, often quiet, material world." "we now need to proactively engineer moments of absence for them. We cannot afford to count on accidental absence any more than we can count on accidental veggies at dinner. Without such engineered absences (a weekend without texting, a night without screens), our children suffer as surely as do kids with endless access to fast food. The result is a digital native population that’s less well rounded than we know they could be." This is part of what spurred me to do the device-free summer. I have an amazing kiddo. I knew he was capable of more than running to his Xbox or Ipad every free moment of the day. "It’s becoming more and more obvious. I live on the edge of a Matrix-style sleep, as do we all. On one side: a bright future where we are always connected to our friends and lovers, never without an aid for reminiscence or a reminder of our social connections. On the other side: the twilight of our pre-Internet youths. And wasn’t there something . . . ? Some quality . . . ?" This one above really made me think because I think sometimes what we chalk up to "nostalgia" may be more than that. There was a quality to my childhood and those pre-internet years that's missing. I've learned this summer that it's not something that can't be reclaimed. Doing things like playing old school board games with kidlet or teaching him how to cook or watching him make up his own games has recaptured some of what I didn't even realize was missing. "Children do need moments of solitude as well as moments of healthy interaction. (How else would they learn that the mind makes its own happiness?) But too often these moments of solitude are only stumbled upon by children, whereas socialization is constantly arranged." I loved that line about how would they learn their minds make their own happiness. "Despite the universality of this change, which we’re all buffeted by, there is a single, seemingly small change that I’ll be most sorry about. It will sound meaningless, but: One doesn’t see teenagers staring into space anymore. Gone is the idle mind of the adolescent." Things I'd never thought about, but so true. Everyone has their heads down looking at their phones now. "Solitude may cause discomfort, but that discomfort is often a healthy and inspiring sort. It’s only in moments of absence that a daydreaming person...can receive truly unexpected notions." "What will become of all those surreptitious gifts when our blank spaces are filled in with duties to 'social networks' and the relentless demands of our tech addictions?" "I fear we are the last of the daydreamers. I fear our children will lose lack, lose absence, and never comprehend its quiet, immeasurable value." God, I hope this is not the case. As a writer who makes her living in the world of imagination and daydreaming, I hope a new crop of writers, artists, creators is behind me. "Every technology will alienate you from some part of your life. That is its job. Your job is to notice. First notice the difference. And then, every time, choose." This quote will stick with me. It's going to make me stop and think--when I look at this device, social network, whatever, what am I looking away from? I'm not a Luddite who is going to totally disconnect from the online world, but I'm becoming a lot more deliberate and choosy about how and where I'm spending my time and energy. Needless to say, I found this book an engrossing read. 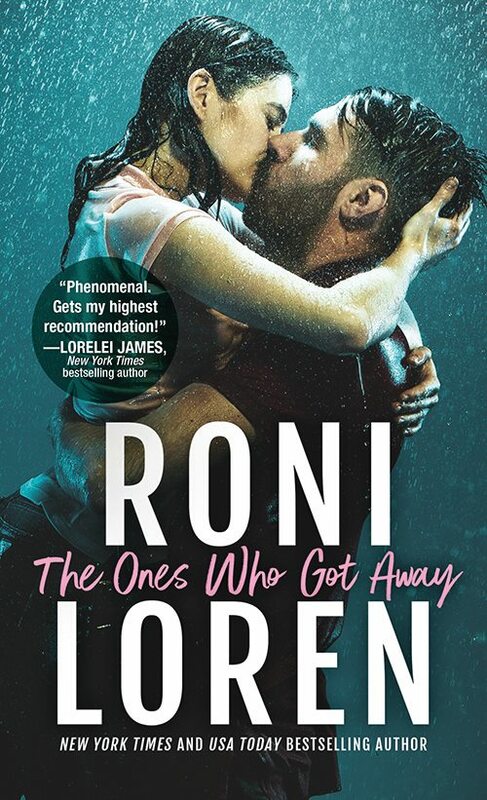 I have more to share from other books the rest of this week, but I think this one did an excellent job of making the case for creating time in your life and your children's lives for solitude, quiet, absence, boredom, and blank spaces for your brain to daydream in.